Cunningham Children’s Home’s signature fundraiser, the Festival of Quilts, joins the Boneyard Arts Festival this spring as one of more than 90 galleries showcasing the arts in Central Illinois. This year Cunningham is excited to present a collection of show quilts that creatively blur the lines between conventional quilt making and fine art. 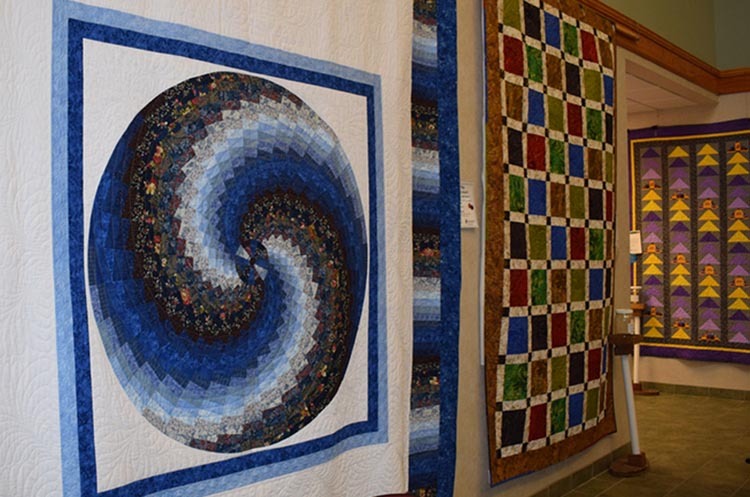 The 15th annual Festival of Quilts will also include a quilt auction and quilt boutique as well as a gift shop, bake sale and the Patchwork Café. We invite you to join us on Friday and Saturday, April 5th and 6th, from 9 a.m. to 5 p.m. to enjoy the colorful and diverse exhibit as well as the silent auction. This year’s featured speakers include Sally Dodge and Judy Gamble. Sally’s presentation, Five Things You Need to Know to Change the Size of Your Quilt, will be Friday at 11 a.m. On Saturday at 11 a.m., Judy will present Color Theory and Uses in Watercolor Quilts. Visit cunninghamhome.org or find us on Facebook to learn more.